Now, those tariffs are expected to take effect on Friday, July 6. Moog has gone as far as to implore their own customers to take action, in an email sent a week in advance of the rules change. That’s as far as I know reasonably unprecedented. Whatever the politics in Asheville, North Carolina, many US music customers are Trump voters. A U.S. tariff (import tax) on Chinese circuit boards and associated components is expected to take effect on July 6, 2018. These tariffs will immediately and drastically increase the cost of building our instruments, and have the very real potential of forcing us to lay off workers and could (in a worst case scenario) require us to move some, if not all, of our manufacturing overseas. In the article, they break down why this is such a big deal for Moog – and illustrate how the Trump trade policy could devastate American manufacturing and the US economy. “Made in the USA” depends on Chinese parts. Roughly half of Moog’s circuit boards and related components come from China. Those parts are the fuel that allow them to support good manufacturing jobs in the USA, for assembly, testing, and shipping. They pay more for US parts – and those will get more expensive, too. Electronics sourced inside the USA are already more expensive – priced up to 30% higher than other components. But because these parts also source Chinese components, those prices could go higher still. People are going to lose jobs. Because these changes have an immediate impact, costs go up immediately. That will likely mean layoffs, soon, say Moog in the mailing. In the long run, it could mean having to move manufacturing out of the USA. Moog have offered CDM to provide additional comment, so I hope to follow up this story. In case you aren’t depressed enough, I think the mailing covers only a part of the problem. The immediate impact will be driving up the costs of US synth manufacturers. But stiff import tariffs could cause immediate and widespread job loss across a number of sectors. Motorcycle maker Harley Davison announced plans to move some manufacturing abroad – and saw stiff market losses as it came under direct fire by the President. General Motors warned the move could shrink the company, cut US operations, and kill jobs. US job losses and a weakened economy would hit the biggest market for music electronics and musical instruments, meaning a second blow would be delivered to our whole industry. And there’s more: Harley Davison’s move came after retaliatory tariffs imposed by the European Union, not the USA. This is what a global trade war looks like. If the EU expands those tariffs, then a manufacturer like Moog or MakeNoise or Eventide assembly products in the USA could face 50% taxes imposed on customers when its goods reach Europe. But don’t get depressed – do something, if you’re a US citizen. Moog suggests writing Representatives and Senators. They’ve added contacts for North Carolina, but this is relevant of course to people living across the USA. The US Trade Representative is an office of the President, so I’d suggest also contacting the White House, even if this Administration is unlikely to change its policy. For the rest of the world outside the USA, uh, yeah, I have no idea what to tell you. But certainly, I think it would be optimistic to assume this will only impact US manufacturers; the ripples are likely to be felt throughout electronic music tools as through other industries. We’ll keep you posted as this develops. 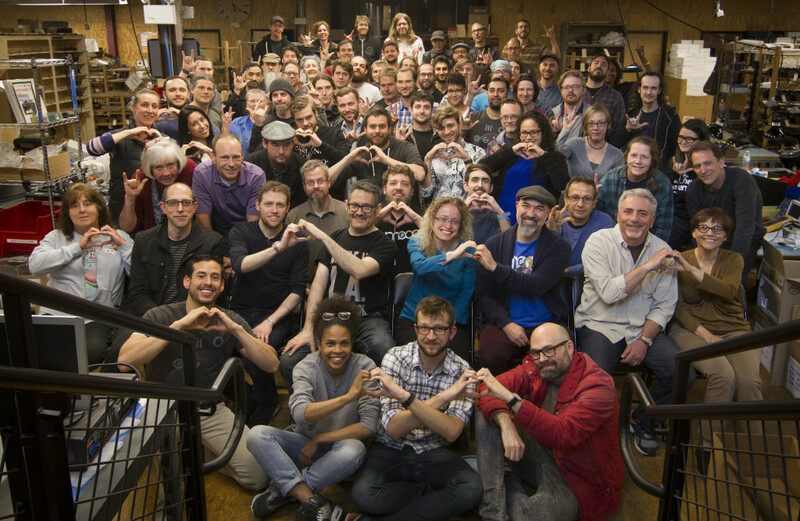 And to all you folks at Moog – thanks for speaking out. And I hope we can help you keep your jobs. The post Moog urges US citizens to take action to stop Trump import tax appeared first on CDM Create Digital Music.